Putting music to a photo makes you feel the real essence and memory of the captured moment. Besides, when you create a photo slideshow, it is best if you put music in it. For instance, for some special events like birthdays, weddings and anniversaries, you'll see pictures being played on a bigger screen. Actually this is not so hard to do. You just need to have the right tool which can help you put music to pictures. Below are the best three tools that you can use. The first tool that you can use is called BeeCut. The program supports 16:9, 9:16, 1:1, 3:4 and 4:3 aspect ratios. 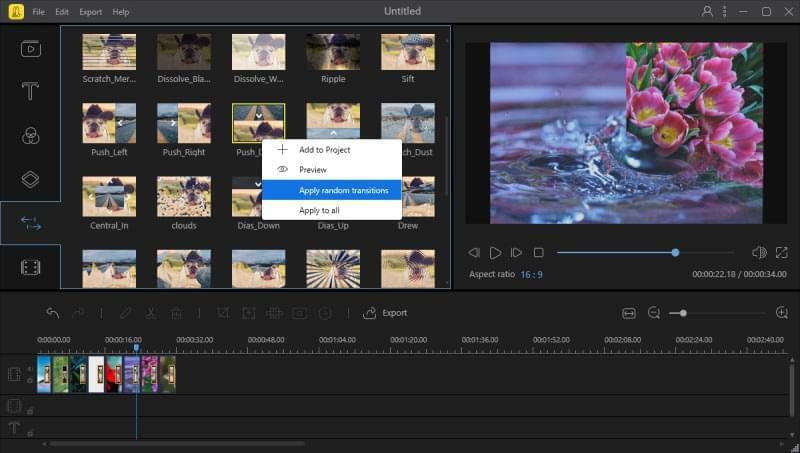 It is a professional editing tool which allows you to create and edit a video. 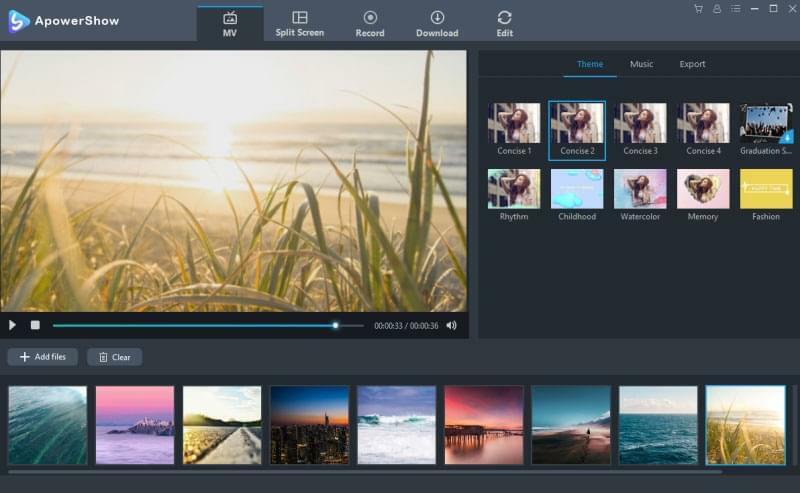 You can crop, trim, zoom, rotate, flip video, and add texts, elements, overlays and filters to a video. Moreover, this tool can help you add transitions to photos for creating a slideshow. Based on its simple user interface, it is quick to create a photo slideshow with this tool. Download the BeeCut and install it on your computer. Click on the "Import", "Import files" button to upload all the photos and music that you will need. Drag the photos to the timeline. After that, drag the music file to the timeline so that you can put music to photos. Click the "Transitions" tab and apply transitions manually. Or you can choose to "Apply random transitions" if you don't want to add them one by one. Edit the photos or add special effects if you want to. Then click the "Export" button to save the file. In case you don't feel like using a desktop app, then you can simply use LightMV. This is an online tool that is so easy to use that even first-time users can use it without any hassle. All you need to do is choose a theme from the page and upload all the photos that you want to use. You can choose among the themes like TikTok Style, Colorful World, Beautiful Moments, and many more. 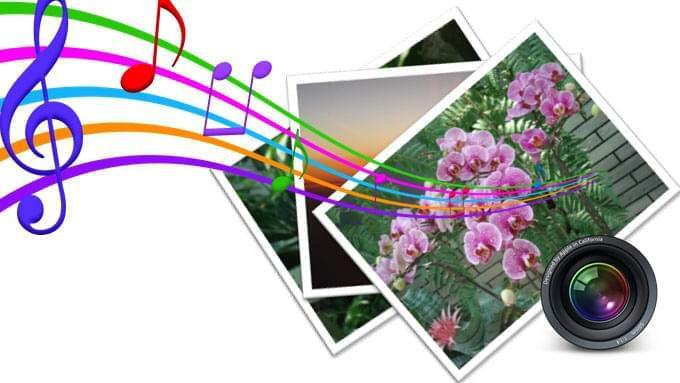 Below are the steps on how to put music to a picture slideshow using LightMV. Go to visit LightMV and then choose the theme that you like. Click on "Upload" and then choose all the photos that you will use. After uploading, drag and drop the photos to the scenes on the right panel. You can use the default music or add your own song. Type the starting and ending titles for the slideshow. Click the "Produce" button to start generating the video. Once done, simply click on "Play" to watch it online or share it to Facebook, Twitter, Google Plus and Pinterest. ApowerShow is another professional tool that you can use to add music to a picture. Using its "MV" feature, you can easily add music to photos. Thus, you can also compile all these photos at once. Aside from that, you can also use its "Split Screen" function in case you want to play different videos all at once. Under the "MV" tab, click on the "Add Files" button so you can upload all the photos that you will use. Or you can just simply drag your files into its interface. Next, choose from among the preset themes available. Add some music under the "Music" tab. Just simply click on "Add Music." Lastly, under the "Export" tab, click on "Export" to save the file on the computer. That sums up the best tools to put songs to picture slideshows. All of the tools stated above will give you high quality output. You just need to decide which one you think is best for you to utilize.